October has arrived, less than 3 months of project 365 for this year to go!! This week has been filled with lots of positives for a change. Layla has now managed over a week of using the potty like a big girl, only a couple of accidents, although I have to say I am slightly sad as this seems like the last transition from baby to toddler. We've also had good news on the house front, after 3 failed purchases, we've finally had a mortgage offer issued on a lovely 4 bedroom house, the only downside we are now in a chain so the waiting game begins. 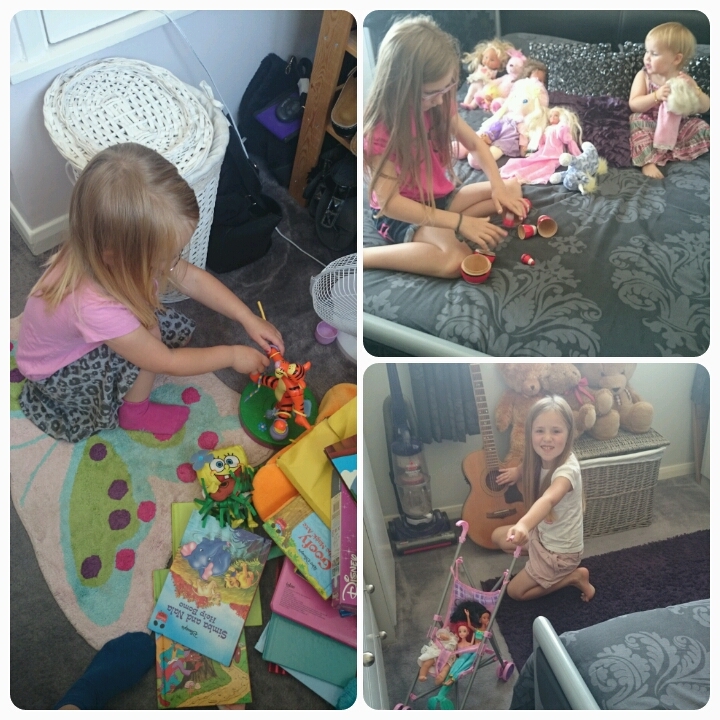 Visit to Nannie Hazel's house, good job she has a good toy collection for them to play with. Freya loves to draw and today she'd been reading goldilocks and the three bears so decided to draw what she'd read. 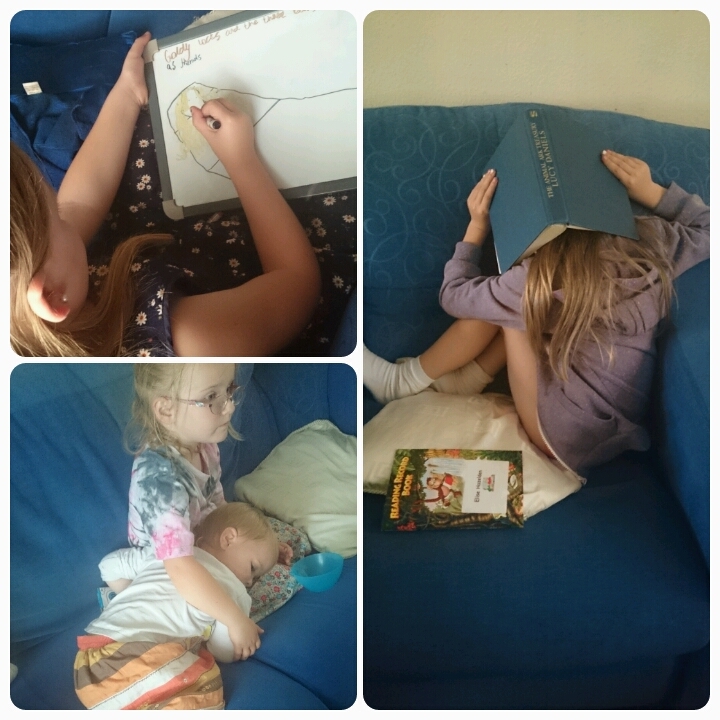 Elise was hiding behind a book (no surprise there) and Gracie turned into a nurse looking after a poorly snotty Layla. 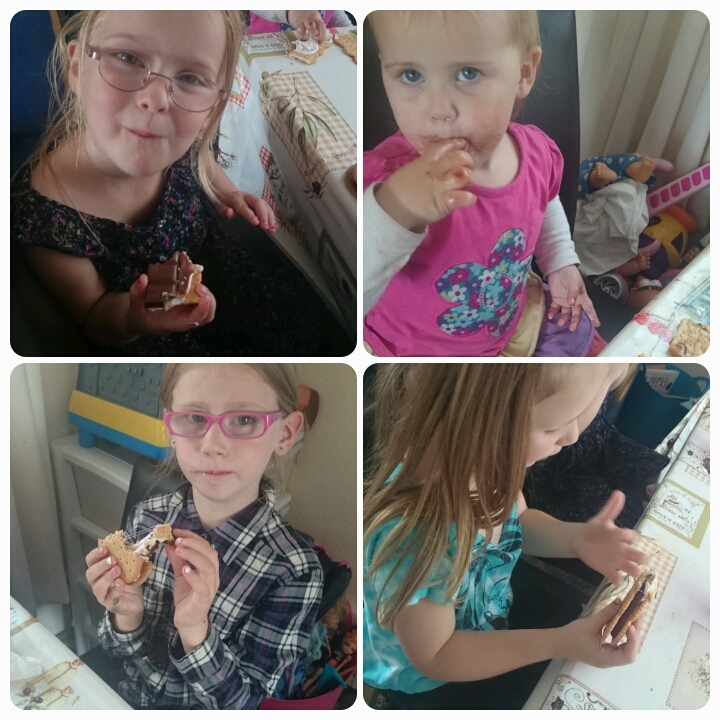 We made s'mores which although sticky were well enjoyed!! 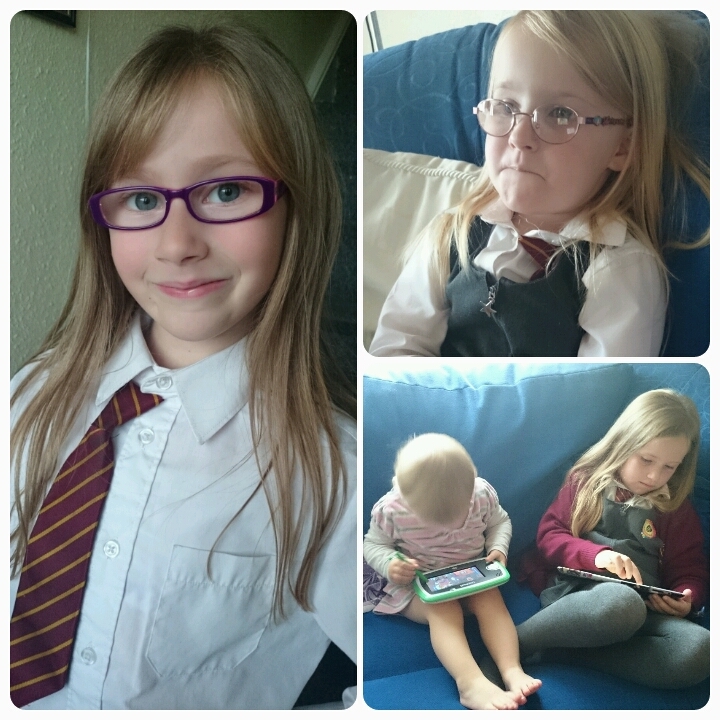 A mixed bag, Freya was busy looming, a spot of climbing on the school run and Layla was chilling with the iPad whilst feeling poorly with a continuing snotty nose and temperature. 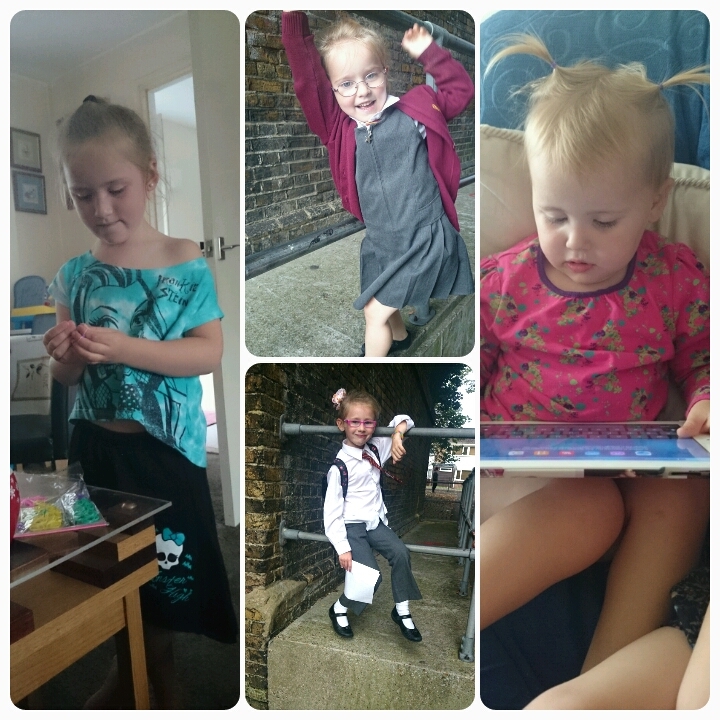 Looking at my girls and realising just how quickly they are growing up. Mixed day of photos. 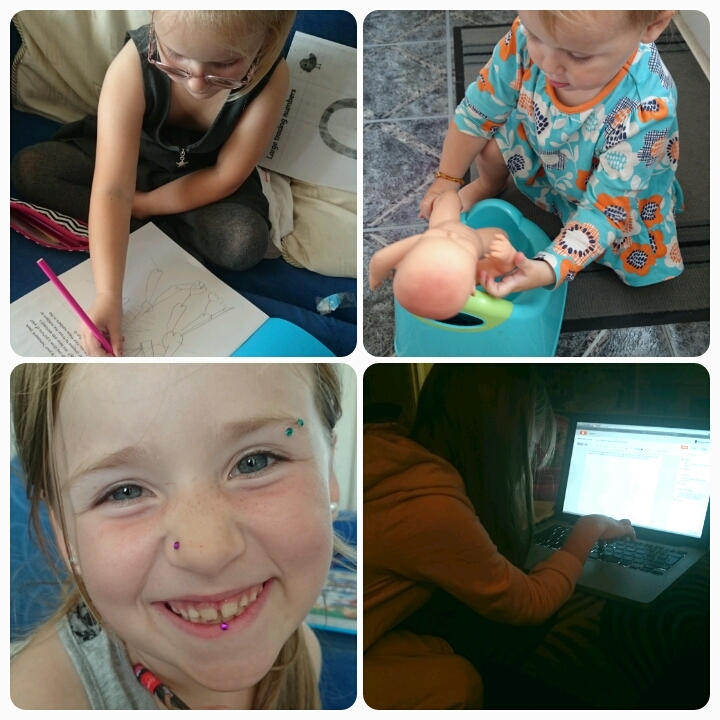 My kids showing off their individuality. 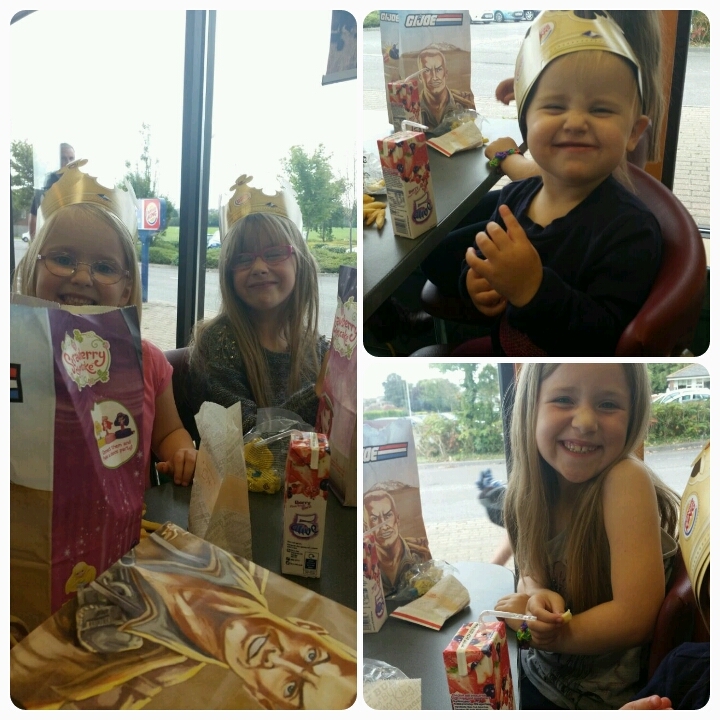 Treat dinner today, the girls are now queens of the burger!! aaaahhhhhh at Gracie and Layla, sometimes older siblings are great when you feel rotten and mummy does not have all to sit. I guess on day 272 Elise was not wanting her picture taken. Nice to get out for a treat for tea every now and then. They're always so smiley, it must lift your heart!